Incredibly Soft: Perfect for a newborn or baby’s delicate skin, our bamboo baby towels are soft, cozy and have an adorable bear head hood! Measuring 40x28, it’s great for kids aged 0-3 years. It’s also more absorbent than a regular bath towel, drying faster and more thoroughly! Safety First: What sets our baby towel apart from the competition is the convenient design! Parents can tie the towel around their neck, leaving both hands free to safely pick up and wrap their child. Parents have a more comfortable hold when lifting the baby and will remain dry! • Free Bonus Gift: Our animal face hooded towels made perfect baby shower gifts. Thoughtful and practical, the natural white color with green embroidering is ideal for both boys and girls alike. And as a special thank you for ordering, your purchase includes a free eBook! • Premium Quality: We know you want to cuddle your child in only the best towels! That’s why we made sure ours are natural, organic, and hypoallergenic. 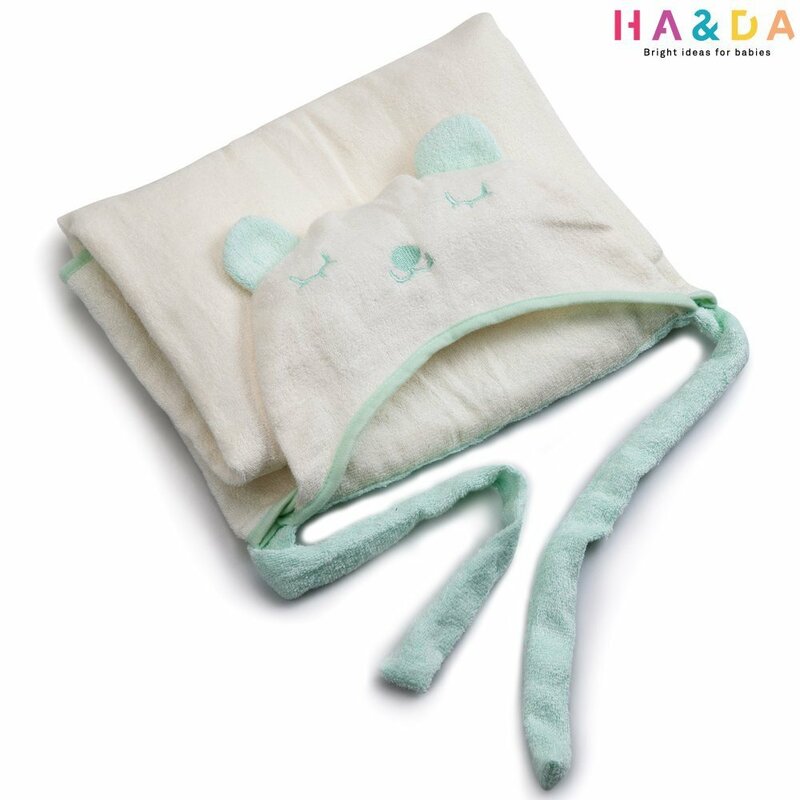 Made with 70% bamboo and 30% cotton, our thick luxury towels are eco-friendly and antibacterial to help protect gentle skin • Satisfaction Guarantee: At Ha&Da Baby, we’re always developing new products to help make parenthood a little easier! Customer satisfaction is our top priority, so if you don’t love your bathroom towel, let our customer service team know for a full money back refund.